When you’re ready to buy a new Toyota, come to our Toyota dealership near Augusta, ME! 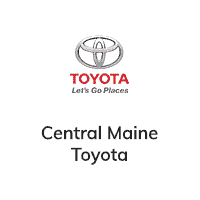 Here at Central Maine Toyota, we have new Toyota models for every type of driver. Need an eco-friendly sedan that’s perfect for your daily drives? Shop our new Toyota Camry and Toyota Corolla models. Want an SUV that can easily seat your whole family? Check out our new Toyota Highlander and Toyota RAV4 SUVs. We also have new Toyota trucks including the Toyota Tundra and Tacoma pickup, both of which are perfect for going back and forth to the job site. Learn more about our new Toyota models today!